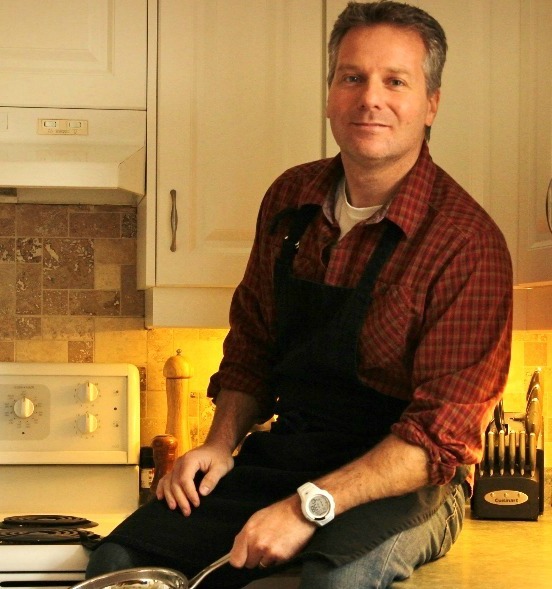 Canadian Music Week is happening during the second week in March and to honor this musical event I will be giving away 5 copies of my cookbook. I know…it’s absolutely crazy…but still true! If you are new to this blog and wondering what a cookbook has to do with music then you’ll need to bring yourself up to speed. Take a few minutes to read some past blog posts or visit my website and you’ll quickly get the gist of how this all ties in together. With any giveaway there are always a few ground rules. If you don’t like this rule; all I can say is sorry. As Run D.M.C rapped in the 80’s, “It’s like that…and that’s-the-way it is”. O.K, now that we have the first rule out of the way here is how this giveaway is going to work. In my book The Cook-a-Palooza Experience there is a section called Questions From The Kitchen. Embedded in each cooking question, there is a reference to a song from a Canadian band or musical artist. Each morning during Canadian music week (March 9th to 13th) I’ll post one of these questions on my blog. Send me the song name that’s referenced in the question and the corresponding Canadian band or musical artist, and your name will be entered into the draw for a free cookbook. Answer each daily question correctly and you’ll have five chances to win. 1. If you just send the name of the song and not the band or vise versa you won’t be eligible to win. You have to send me both. 2. 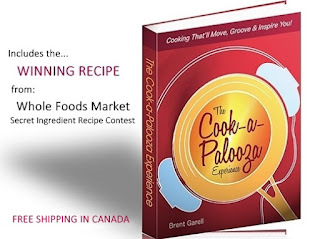 E-mail your answers (along with your full name and mailing address…remember Canada only) to brent@cookapalooza.com. Your e-mail will have to be in my inbox before midnight (Eastern Daylight Time) of the day I post the question. Otherwise your name won’t be entered that day. Please don’t e-mail me asking for confirmation of your entry. Let’s put it this way, if you send in your entry well before midnight…consider it entered. If you decide to send it a minute or two before the deadline, then you may want to cross your fingers and just hope for the best. I’ll post the answer to the question the next day so you’ll know if you’ve answered correctly. 3. To choose the winners I’ll put all the eligible names into my salad spinner and give it a spin. I’ll let my 3 year old son and 5 year old daughter pick the winning names. If you’re one of the lucky ducks who wins a copy, you’ll find your name posted on my blog on Monday March 16th. It all begins on March 9th 2009! Win or lose it’ll be fun to play along! Good luck to everyone!